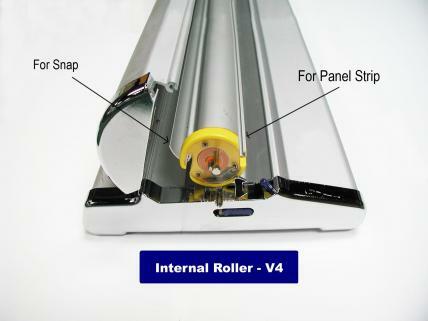 User Oriented Design - V4 Dual Roller is famous of it's effortless installation and considerate design of containing both Snap and Panel Strip in a single roller. This innovative roller is designed for our Supreme, Mini and Dual. With our V4 Roller, you will have a great flexibilty of graphic installation. Different Sizes Available - A total of five different available sizes.